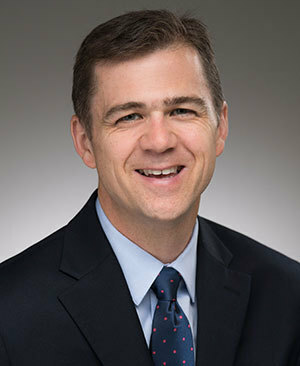 David Campbell, the Packey J. Dee Professor of American Democracy at the University of Notre Dame, has been selected as an Andrew Carnegie Fellow for his creative thinking and innovative research on the rise of secularism in the United States and its political implications. Campbell, chair of the Department of Political Science, will use the prestigious grant from the Carnegie Corporation of New York, announced Wednesday, to study the growing number of people in America who identify as nonreligious and the political force they could become. Campbell and Atalia Omer, an associate professor of religion in the Kroc Institute for International Peace Studies, are among the 35 recipients of 2017 Carnegie fellowships, and the first Notre Dame professors to receive one. The organization announced in 2015 it was creating the fellowships to provide a major boost to the social sciences and humanities and support the “nation’s most creative thinkers” on “challenges to democracy and international order.” The winners were selected by a panel of 33 educators and intellectuals from a pool of more than 200 nominations made by universities, think tanks, publishers, scholars, and nonprofits. Campbell, the author of American Grace: How Religion Divides and Unites Us with Robert Putnam of Harvard University, will spend a year studying the growth of secularism and what it means to American politics. The number of Americans who describe themselves as nonreligious, dubbed the “nones” by political scientists, has grown from about 5 percent in 1990 to about 23 percent, Campbell said. If they were a denomination, they would be one of the largest in the country, outnumbering Southern Baptists. 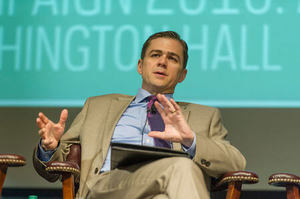 People are increasingly leaving organized religion, Campbell said — particularly Catholicism and mainline Protestant denominations — in part due to an often toxic and polarized political environment. The results of the research will be published by Campbell and two other scholars — Geoff Layman, a Notre Dame professor of American politics, and John Green, a University of Akron political science professor — in a book, Godless Politics, that they plan to finish next year. The trio previously received a National Science Foundation grant in 2011 for their research on the subject. Campbell believes some entrepreneurial politician will figure out how to speak to this group and essentially endow them with an identity. He said that’s what happened 40 years ago with evangelical Christians, a group previously removed from politics but now actively sought out by candidates because of their influence. Some political scientists initially dismissed evangelicals as a temporary phenomenon that would quickly disappear, Campbell said. “It’s now become deeply entrenched in our politics. We have a hunch that something similar may happen with the secular population,” Campbell said. But the nones may be harder to unite politically because they are harder to reach than evangelicals, who are brought together by their regular church attendance. The nones don’t have something like church bringing them together. “Many of the people in this group might not even realize they are in it,” Campbell said. The nones fall into two categories: the actively secular and the passively secular. Campbell said the actively secular define themselves by what they are — people embracing a secular point of view — instead of what they are not. The passively secular, a larger group, don’t know what they are but know they aren’t religious. “What we want to understand is what politicians may be doing or considering doing to reach them. Then we’re not only interested in what politicians are doing, but what the groups that represent these folks are doing,” Campbell said. Among the groups trying to bring the nones together are the American Humanist Association and the Secular Student Alliance. Some universities also have humanist chaplains. Campbell plans to interview leaders from these and other groups during his research to see what they are doing and what their goals are. In his application for the Carnegie fellowship, Campbell acknowledged that at first glance it might seem odd to have someone at a Catholic university studying secular politics. “Being at a place that takes religion seriously means we’re also the place to take other worldviews seriously, even if they aren’t grounded in religion,” he wrote. Originally published by Tom Coyne at al.nd.edu on April 26, 2017.